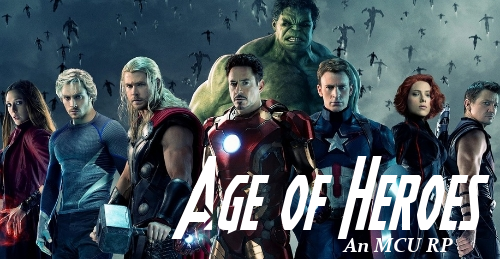 Marvel: Age of Heroes is a role-playing site set in the Marvel Cinematic Universe, with elements taken from X-Men and other properties included in the comics. Our setting is based under the premise of what the MCU might look like if there weren't any of the complications associated with which studio has the rights to which franchise and the like. As such we are willing to consider a wide variety of different Marvel character types, including characters from the films, mutants, and various other characters who have yet to make it into the movies. We are open to both characters from cannon sources as well as original characters. Our story leaves us in the aftermath of the Civil War. The Superhuman Registration Act is still in effect, and the events of the conflict have left most of the world's heroes in hiding from the law. And with it will come a host of complications and difficulties for the heroes and villains to overcome. Will the Avengers and XMen reconcile their differences and come together again? With the heroes in disarray who will protect the world from a growing new threat that looms on the horizon? Join us and help us decide, on Marvel: Age of Heroes!